Do you know AI can help in cancer detection, be an assistant to the visually impaired and even create music? 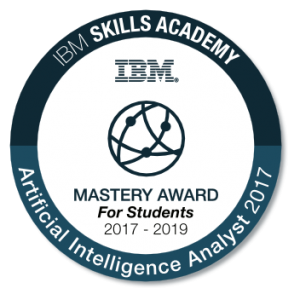 The AI analyst course prepares learners to apply this field of study in real-life. This will require skills in Cognitive Computing, Natural Language Processing (NLP), Conversation (Chatbots), and Computer Vision. Training topics will include AI, IBM Watson, hands-on learning as well as case studies on NLP, Chatbots and Computer Vision.